You will never forget their sweet and full smiles. 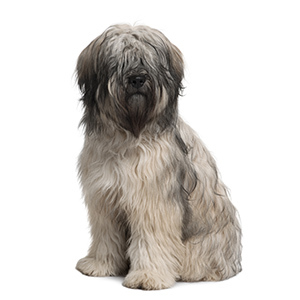 As its name would suggest, the Catalan Shepherd, also known as Perro De Pastor Catalán or Gos d’Atura Català, originates from Northeast Spain in Catalona, where they were bred to work with shepherds, guarding and herding livestock. 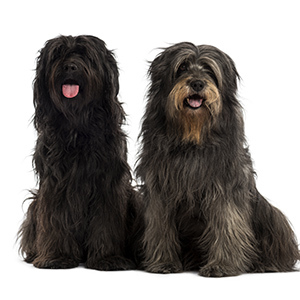 As the story goes, the breed was developed when dogs brought to Spain by the Romans were crossed with the native Catalan dogs. These unique and still relatively rare dogs were used in the Spanish Civil War as messengers and sentry dogs. While their popularity was on the decline after World War II, since the 1970s selective breeding programs have led to their gaining in number once again. 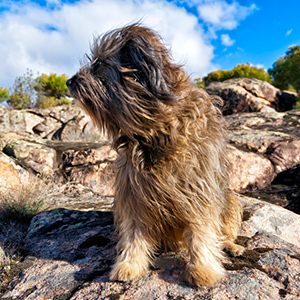 Especially popular in their native Spain, German, Swedish and Finnish owners seem to have an affinity for the breed as the numbers in these countries continue to grow. 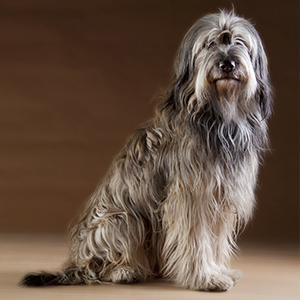 The Catalonian Sheepdog was recognised by the United Kennel Club in 2006 and three years later was recognised by the Kennel Club, where it was added to the import register, classified as a working dog. Once you’ve laid eyes on a Catalan Shepherd you will never forget their sweet and full smiles. 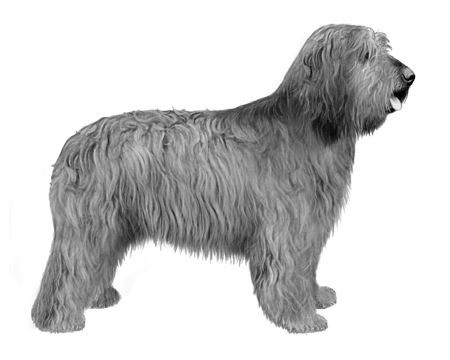 A luxurious straight or slightly wavy double coat of sable, fawn or grey is usually mixed with reddish brown, black or white. 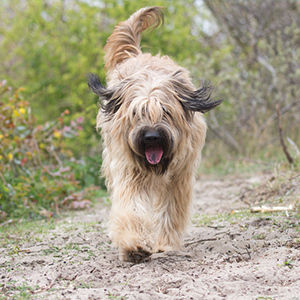 There are two varieties of the Catalan Shepherd—a long and short-coated—however the latter is extremely rare.